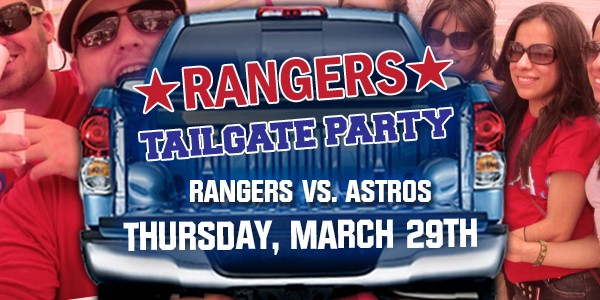 Come tailgate with Dallas Sport & Social Club as your Texas Rangers host the World Champions, the Houston Astros on Opening Day, Thursday, March 29th! In addition to our Tailgate Party, we also have a limited number of game tickets available. (Our tickets are for real seats, NOT standing-room-only.) Buy a tailgate pass and game ticket together, or select the tailgate-only option. But don’t wait too long! We always have a HUGE crowd for our Opening DayTailgate and it will sell out!